LAHORE: Bitcoin and other cryptocurrencies since last two months have experienced wild swings as they slam dunked and rose again. From reaching all-time highs in December, Bitcoin and other virtual currencies have endured significant erosion in their values, with over $550 billion said to have been wiped out of cryptocurrency markets in the last few days. 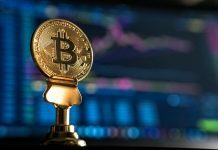 The seismic shift has largely been driven by news of increased regulator oversight in various developed nations, where cryptocurrency is seen more of a threat to the existing financial system of conducting transactions, fears of over-valuation and absence of any regulations has stirred pandemonium globally. In a statement on February 7th, Goldman Sachs predicted the value of cryptocurrencies would fail and its value would erode to zero and comparisons to the dotcom bubble of the late 1990’s were made. According to Goldman Sachs, head of global investment research in a note on Monday said cryptocurrencies had absolutely no intrinsic value and it is highly possible that most of these digital currencies are unlikely to thrive in longer run. On the contrary, according to Winklevoss twins made famous by their lawsuits against Mark Zuckerberg in an interview to Bloomberg said digital currencies cannot thrive without thoughtful regulation which inter-links them to finance. Both co-founded Gemini Exchange, a digital asset exchange in 2015. Tyler Winklevoss added regulatory oversight and jurisdiction needed to strike the right balance and both twins believed it would be a win-win situation for digital currencies in the longer run. 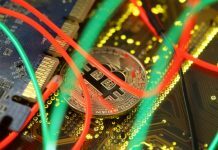 Furthermore, they said regulators hadn’t moved fast enough to the advancements made by digital currencies and formulate frameworks for legitimate operators. But Strongin asked whether any of the current digital currencies would turn out to be a Google or Amazon or would they meet their premature death like many defunct search engines. He added the present speculative bubble doesn’t mean current prices for particular cryptocurrencies couldn’t rise. The global rout that has spread across cryptocurrencies hasn’t vetted the appetite of investors and their interest in them keeps on rolling, as Bitcoin recovered its losses and traded at over $8,000 on Wednesday. In May 2017, Dawn had reported Federal Board of Revenue (FBR) unearthed cases of tax evasion and money laundering using Bitcoin. During FBR’s enquiry last year, it was revealed that Bitcoin trading was on the rise in Pakistan and was being exchanged against cash. 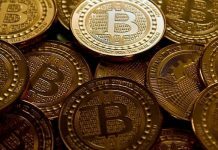 It came to the fore; the accused were involved in trading of bitcoin were employed by a multinational telecommunication company in Islamabad and maintained bank accounts in other countries. Cryptocurrency trading in Pakistan is illegal as per laws of State Bank of Pakistan, but increased interest in digital currencies and its exorbitant rise is attracting individuals to make investments in them. The future is uncertain and as unpredictable, but the technology driving cryptocurrencies called Blockchain is being promoted and is in use or testing by telecom, healthcare and investment companies across the globe.